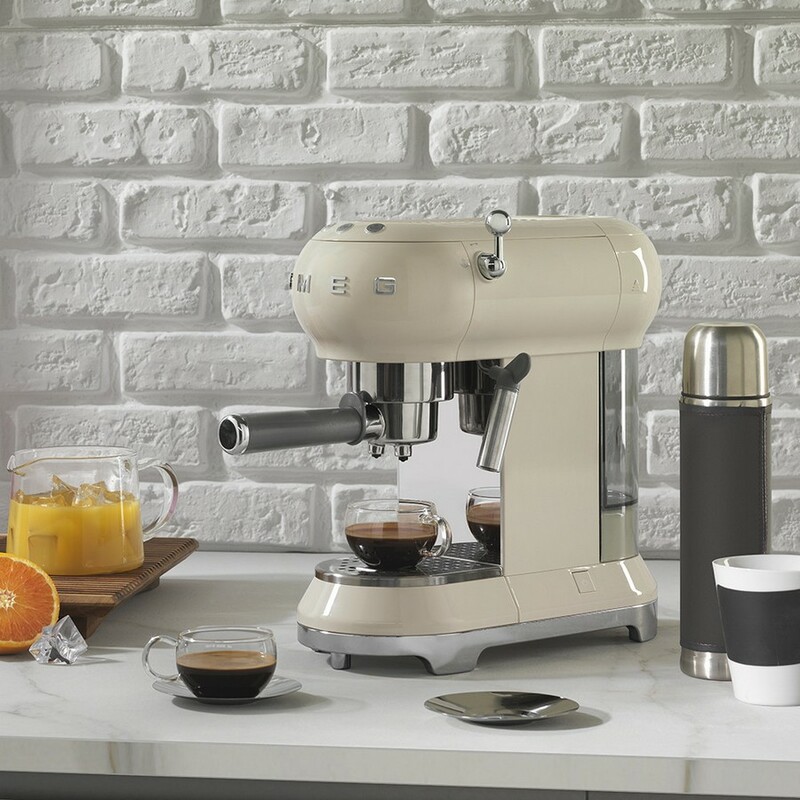 Those who lack bright, creative and non-standard accents for their kitchens very often turn to the Smeg brand’s products. 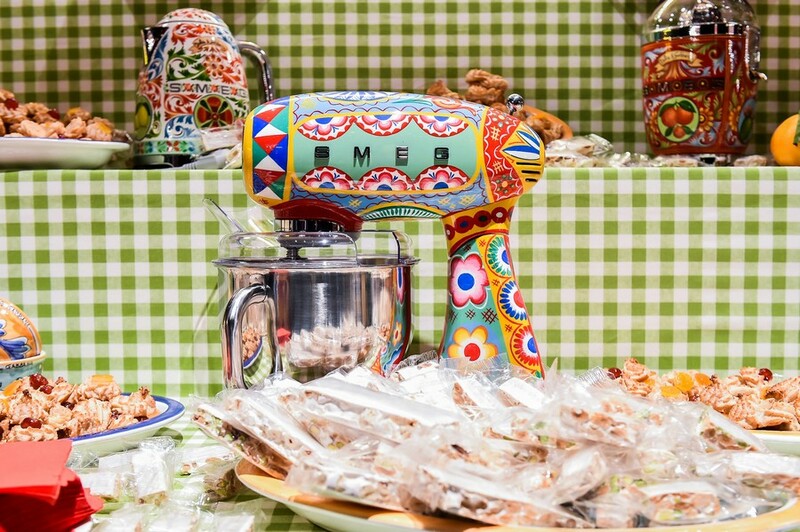 And after this company, the designs of which have always been good per se, started collaboration with the iconic fashion brand Dolce & Gabbana, its new collections arouse even more interest and rush. 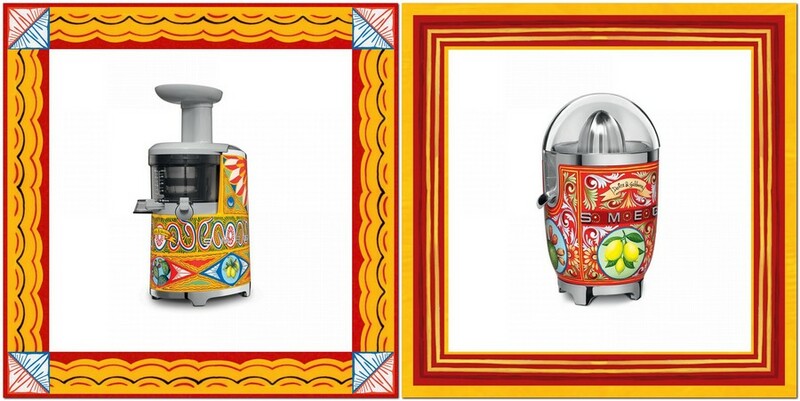 Last year the two companies surprised the public with 100 hand-painted one-of-a-kind refrigerators, and this time they teamed up to focus on smaller, yet versatile domestic appliances. 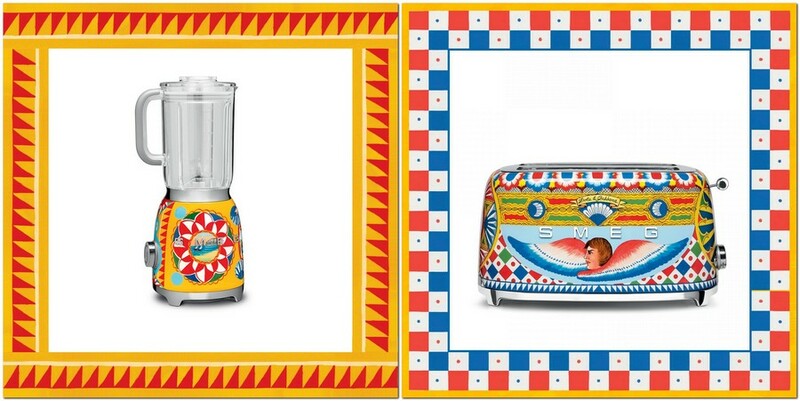 The new collection dubbed “Sicily is My Love” includes gorgeous toasters and kettles, coffee machines and juicers, stand mixers and blenders, and all that carefully wrapped in the history of the beloved Italy. 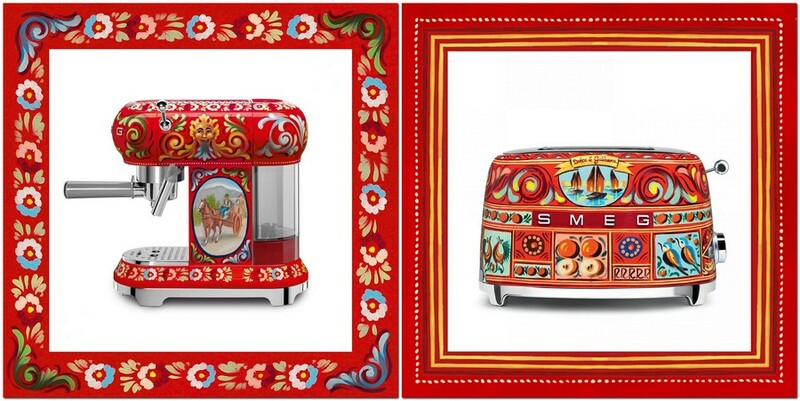 Looking at the fruit of mutual efforts of Smeg designers and Dolce & Gabbana creative team one starts to realize that every tiny detail on each appliance from the “Sicily is My Love” means something. Lemons, cherry blossoms, prickly pears, triangular “crocchi” patterns, floral motifs, ornamental friezes, decorative acanthus leaves and even views of the legendary Mount Etna are all organic features of Sicilian folklore and history and symbols of this spectacular region. 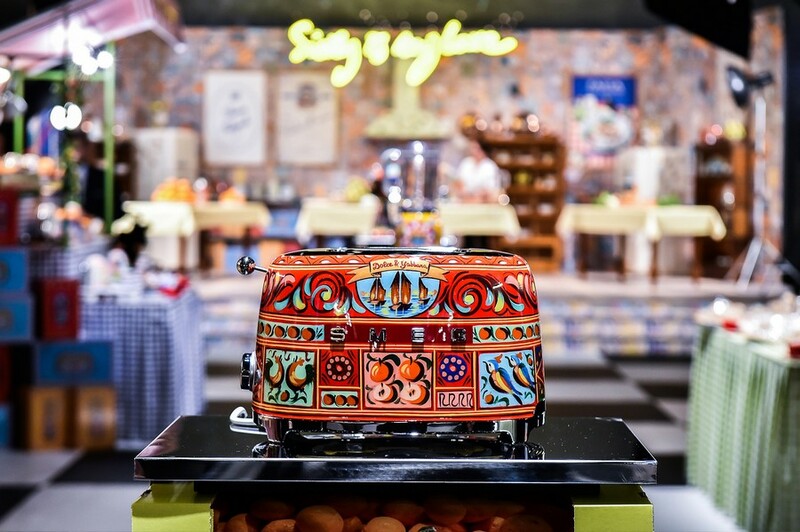 And the choice of colors seems to be saying “I’m made in Italy” – such lively and bright color mixtures could be born only by passionate Italian minds. 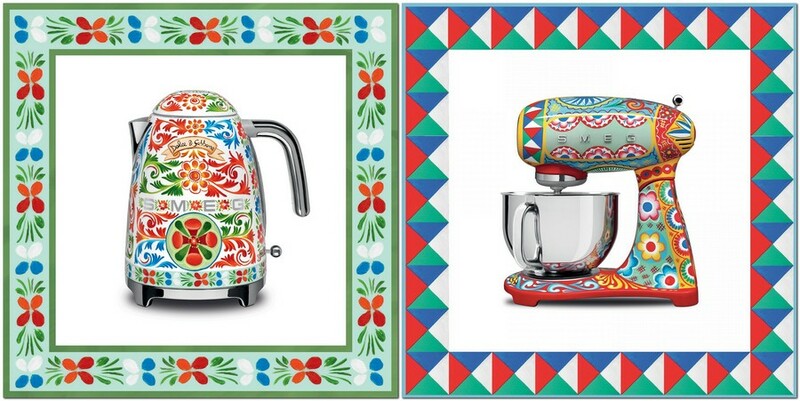 Those who love and miss Italy would surely appreciate the novelties!